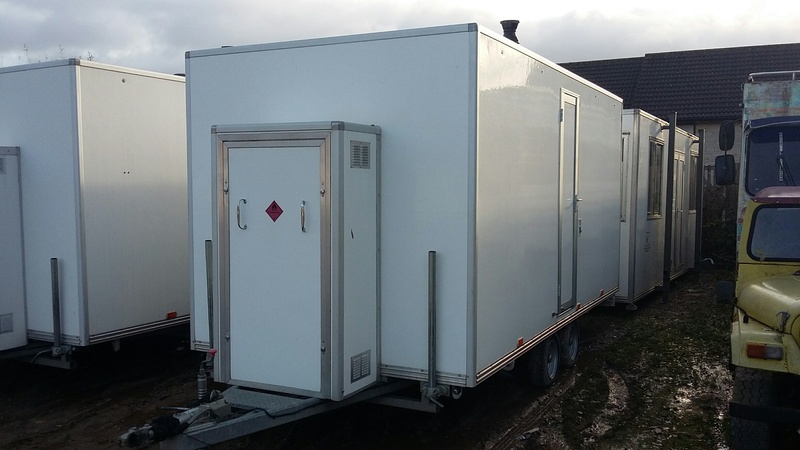 Second hand 4 bay shower trailer on double axle chassis. Approximately 15' x 8' and features Rinnai LPG hot water system and on-board fresh water tank and 240v pump. Very good condition. Please call us on 01249 812153 or email to info@wessingtoncabins.co.uk for further details or to arrange viewing.